As a teacher and working among other teaching professionals we rarely get complimented on the positive so it is important to me to let people know the good in this world. I want you to know that your staff at The Hot Yoga Spot is remarkable! I’m sure it is a tough decision when hiring, but your selection has proven to be fabulous!. I’m so impressed with the way they interact and connect with us individually. It is as if they have a sixth sense and can tell you need a spiritual “fix” as well because when I leave I truly feel I can handle what lays ahead. I have the pleasure of coming for class three times a week and would love to do even more. Each member of your team has very special qualities and I so enjoy my time spent in your studio. Thank you so much for what you do! 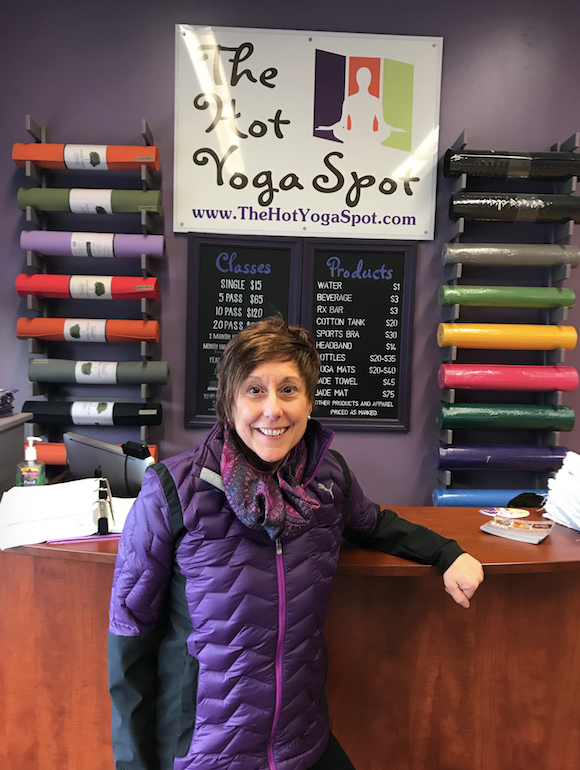 Adrienne joined The Hot Yoga Spot in 2016.